The annual award was established by Patrick White using the proceeds of his 1973 Nobel Prize for Literature, and is traditionally awarded to authors who ‘have made a significant but inadequately recognised contribution to Australian literature’. The award does not involve a submission process, with writers being ‘automatically eligible’. 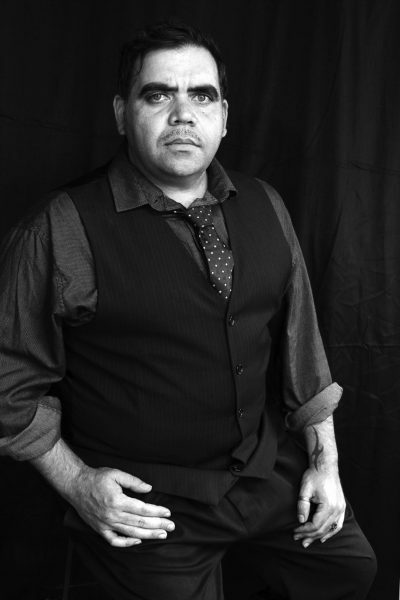 Watson is the second Indigenous writer to win the award in its 45-year history, after Tony Birch was awarded the prize in 2017. Watson is the author of three chapbooks and five collections of poetry, including Of Muse, Meandering and Midnight (UQP), which won the David Unaipon Award for an unpublished Indigenous writer. His collection Smoke-Encrypted Whispers (UQP) won the 2005 Kenneth Slessor Prize for Poetry and the Book of the Year Award in the New South Wales Premier’s Literary Awards. His most recent full-length collection, Love Poems and Death Threats (UQP), won the 2016 Scanlon Award for Indigenous poetry, and was shortlisted for the 2016 South Australian Premier’s literary awards. Watson thanked the judges and the greater literary community for their support of his writing. ‘I am humbled by their decision and it is difficult to convey the emotional impact of this prestigious award on myself, my wonderful family and my community. The award will be presented on 7 November at the State Library of Queensland. Recent winners of the Patrick White Literary Award include Carmel Bird (2016), Joan London (2015), and Brian Castro (2014).